so stay tuned for more in-store news & events! New Pyrex ambassador, Masterchef 2015’ runner up, home cook, nutritionist, supreme food stylist and recipe creator, Georgia Barnes might well be one of the sunniest personalities to ever grace Peter’s of Kensington’s Demonstration kitchen. But beyond her beaming smile is some solid knowledge and experience plus a genuine desire to inspire others. She says that at the heart of everything she does, she’s motivated to expand people’s food knowledge, increase their kitchen confidence and for them to cook more. She’s also the first to admit that baking isn’t easy but she’ll show you the way forward with a few simple tips and tricks. Georgia recently launched the Pyrex Platinum Premium Bakeware collection and on Saturday, April 6, from 11 am to 1 pm, she will be demonstrating its beauty and practicality with the following treats including Easy White Chocolate & Berry Custard Tarts; Mini Chocolate & Coconut Bundt Cakes and Chorizo, Tomato & Feta Tart. What a delicious start to the weekend. Tickets for this event are just $20, and each attendee will receive a Goody Bag, valued at $35, including an apron, baking tin, whisk and a Reusable Pyrex shopping bag. Attendees will also have the chance to win an additional lucky door prize including Peter's of Kensington gift cards and Pyrex prizes to the total value of $120. Be quick as tickets to this event are sure to sell out. Katherine Sabbath’s Cake Decorating Masterclasses were held in late December last year and the store was buzzing as her devotees mastered her famous White Chocolate Bauble Cake. These classes in the Kensington Demonstration Kitchen were not surprisingly a sell out with everyone leaving with their own boxed ‘Bauble Cake’ to take home. You would have thought that Christmas Day had already arrived. A big thank you to Katherine Sabbath for letting us in on her secrets and to everyone who came along for this incredible creative journey. Meanwhile, keep reading our In-Store News, to find out about the other exciting workshops taking place this year. Held in mid-December, they were a sell out. Our superstar In-store chef demonstrated how to decorate your own Christmas Gingerbread House with all the delicious gingerbread real estate wrapped in clear cellophane afterwards with a pretty bow at the top. Special thanks to all of our budding gingerbread house decorators for coming along and joining in the fun. Meanwhile keep reading our In-Store News, to find out about the other exciting events taking place this year. 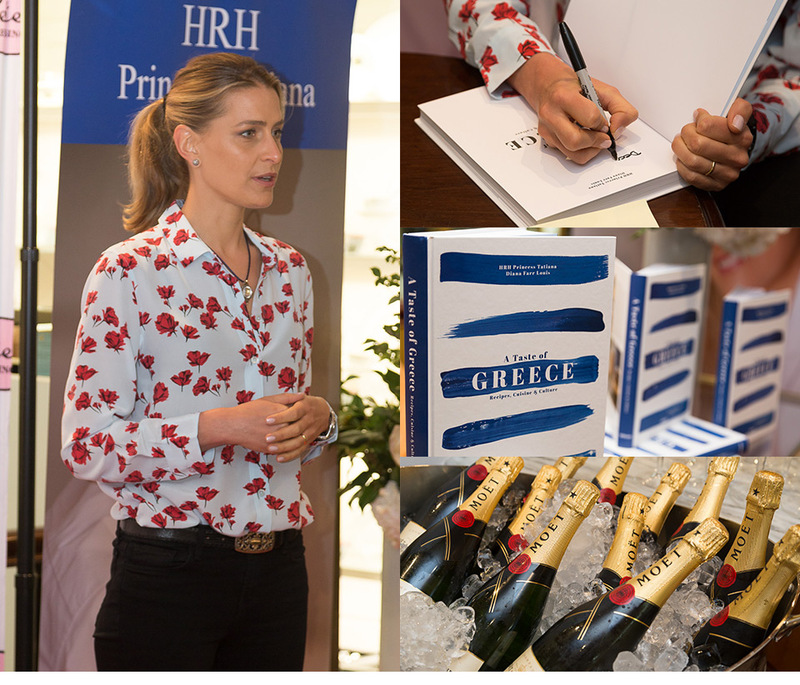 The stunningly beautiful and deeply philanthropic HRH Princess Tatiana, made an exclusive visit to our Kensington store on Tuesday 5th June for a very special presentation and signing of her book, A Taste of Greece. With the Moet champagne flowing and Sydney’s most stylish socialites in attendance, the Princess remained relaxed and composed as she greeted guests and signed copies of her amazing book. The fashionable aristocrat is the wife of Prince Nikolaos, son of Constantine II, who reigned as King of Greece until the monarchy was abolished in 1973. Close family of Prince Philip, the couple met earlier this month with Prince Charles and Camilla on the royal couple’s official visit to Greece. Tatiana and Nikolaos were married in 2010 and currently reside in a fashionable inner-city suburb in Athens. The couple married in a three-day celebration on the magical Greek island of Spetses, an event widely described as “The Wedding of the Year” by the international press and attended by a who’s who of royalty, including our own Princess Mary of Denmark. The Princess’ attitude to her charity work and desire to “make a difference” is reflected in her book, A Taste of Greece, in which she’s partnered with Boroume - an innovative charity founded in 2011 and empowered by passionate volunteers dedicated to ending food waste. The book includes contributions from 36 celebrities who share a love of Greece, including Tatiana Casiraghi, Margaret Atwood, Arianna Huffington and Valentino Garavani. As a professional photographer, the Prince is in Australia for the inauguration of his exhibition, PHOS: Journey of Light, which has opened at the Hellenic Museum in Melbourne and will run until July 29, 2018. As the Greek word for “light,” Phos is an intriguingly mesmerising examination of the way the special properties of Greek light interplay with the beauty of Greek seascapes. Furthermore, he is in Australia to support one of his charities, Axion Hellas, which like our Royal Flying Doctor Service, supports vulnerable groups living in remote and inaccessible locations. Due to the unfavourable economic conditions and significant distances from large urban centres, these areas lack easy access to health services, education, infrastructure and cultural activities. Axion Hellas aims to improve, promote and develop the intellectual, cultural, professional and social level of life of those isolated communities. Peter’s of Kensington has donated $15,000 towards the very worthy charities. 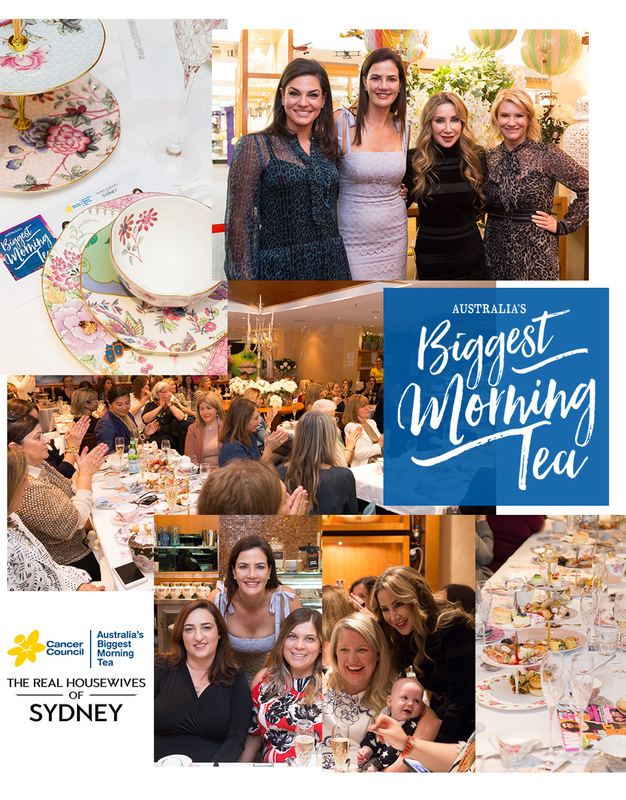 A huge thank you to all who attended our sold-out Mother's Day High Tea at our Birkenhead Point Store. Fine china tiered stands holding sandwiches, savoury treats and a delectable array of pastries were enjoyed by all. Every mum received a luxurious goody bag and a lucky few won fabulous prizes from Private Collection and Peter's Gift Cards. A big shout out to Todd and his team for organizing the event and a special thank you to Private Collection and Royal Albert Miranda Kerr teaware. Sign up to our eNewsletter to hear about the next in-store events. 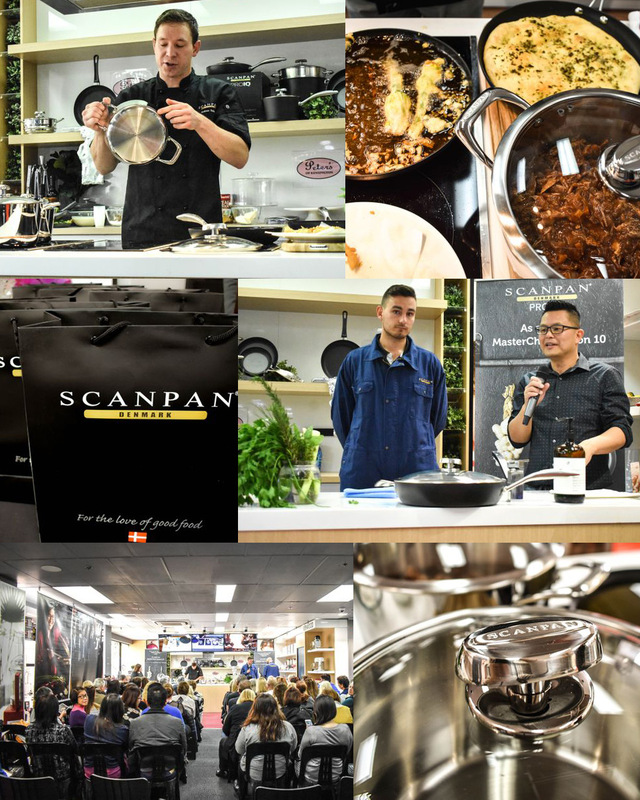 A big thank you to all who attended our Cook like a Master Chef with Scanpan event last weekend. Chef Andrew Ballard had us salivating with his incredible meals using the newest cookware collections by Scanpan - Pro IQ and Axis. Sign up to our eNewsletter and be amongst the first to hear about our next in-store events. We would like to extend a huge thank you to all those that attended our Steve Cordony Masterclass on Wednesday the 9th of May - We can't wait to see you at our next in-store event. The annual Peter’s of Kensington Pink Ribbon Breakfast bought an extra rosy glow to our store on Thursday, October 26 and it wasn’t just the pretty archway of pink balloons over the doorway. 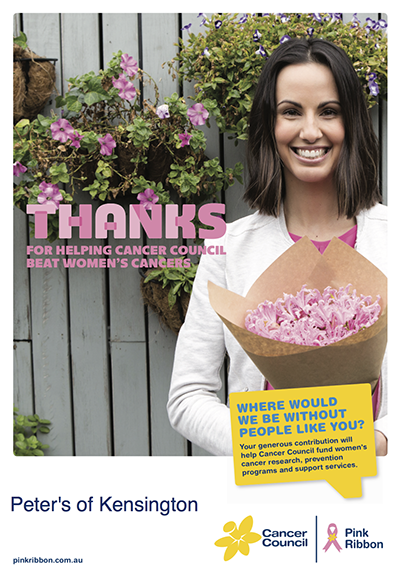 Our feel good event of the year, which raised an impressive $30,710, was a sell out and a testament to our loyal customers and suppliers who are always keen to get behind the National Breast Cancer Foundation. It’s a cause so close to all of our hearts because we all know someone who’s been touched by breast cancer. Showing a generosity of spirit in keeping with the Pink Ribbon theme, arriving guests including Real Housewives of Sydney’s Nicole Gazal O’Neil, in a fetching pink dress with hair to match, were presented with crystal flutes of Moet & Chandon with Peter’s of Kensington’ gift bags on every seat. The tables were set with Miranda Kerr’s collection of Royal Albert china and resting on them was an indulgent spread of scones, pastries, cakes and pastries, rivalling even tea at The Ritz. 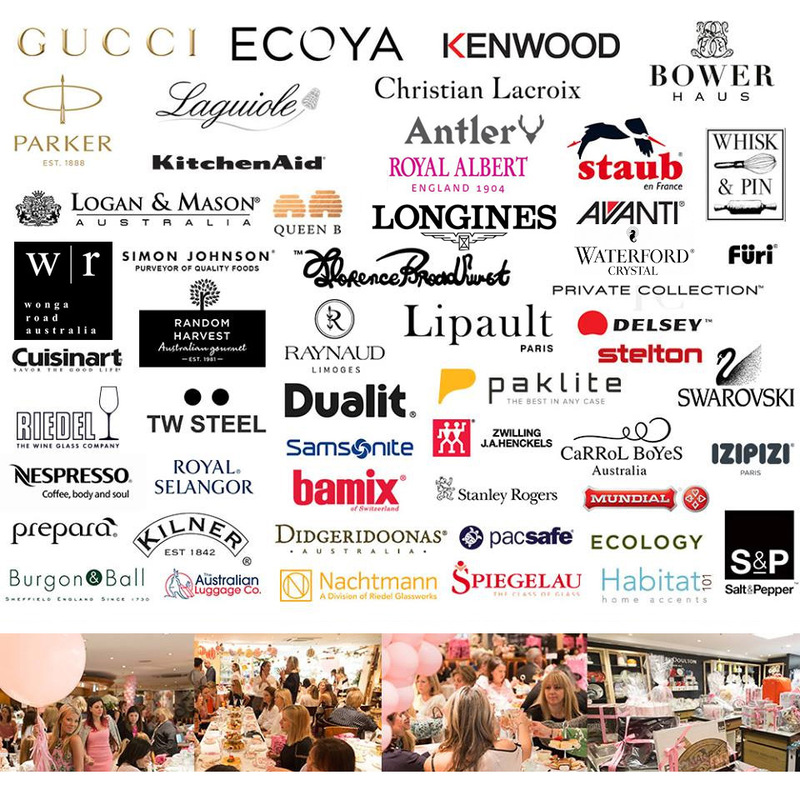 With a charming duo providing the entertainment, one of the highlights of the day was the raffle with over 100 valuable prizes kindly donated by some of the biggest names in kitchewares, fashion and homewares. No wonder that all of our guests left happy, judging by the number of pale pink balloons merrily bobbing up and down as they were carried along Anzac Parade following the event. But not to worry if you missed out because the countdown is already on for next year’s Pink Ribbon Breakfast. Our New Birkenhead Point Store Is Now Open! 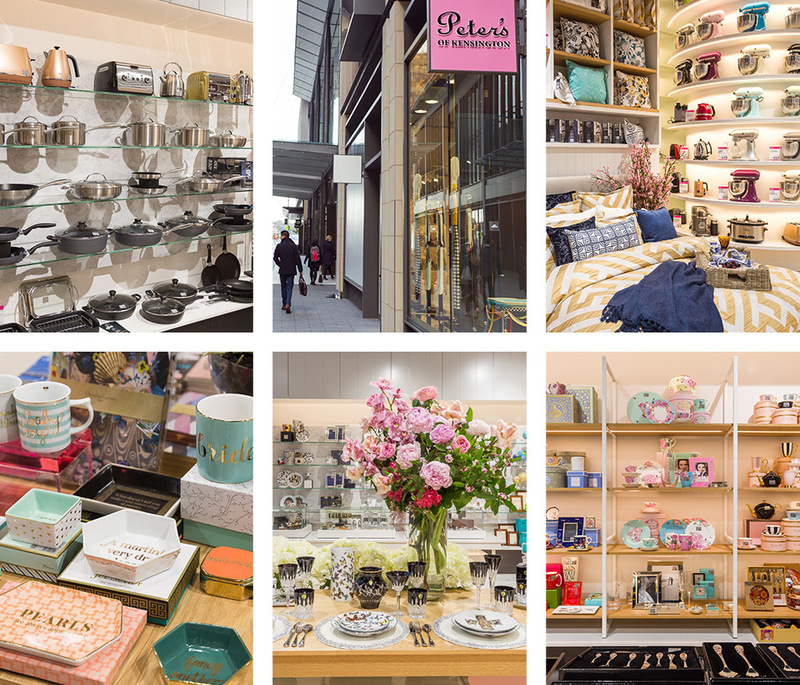 For more than forty years, Peter’s of Kensington have been providing customers with the biggest brands in cookware, homeware and more at the lowest prices. And now, we’re bringing the same incredible bargains you know and love to Sydney’s largest outlet centre. 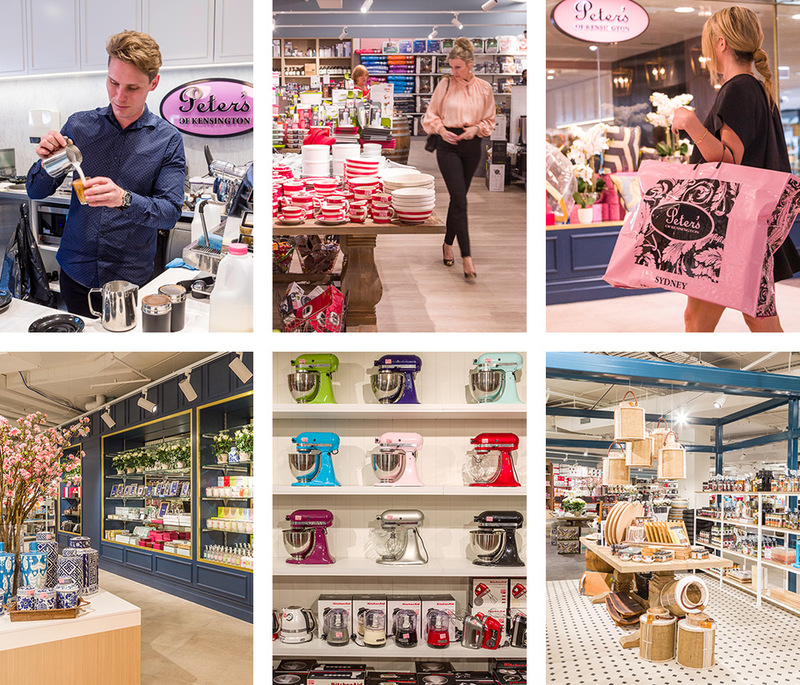 We have a brand-new store located in the Birkenhead Point Outlet Centre, bringing our high-quality products and low prices to the waterside mall. We also have a Click & Collect option, allowing you to shop online and collect your purchases from our new store in under three hours. Sleek and stylish, our new spacious location even includes a beautiful café, so you can sit back and relax after a long day of shopping in Sydney’s Inner West. Last Sunday, the Peter’s Demonstration Kitchen hosted an event of a different kind – a lavish Bridal Brunch! Among glasses of champagne, gift bags and stunning Parisian-inspired decorations, our brides-to-be chatted with our experts about bridal registries, gift ideas, event planning and so much more! 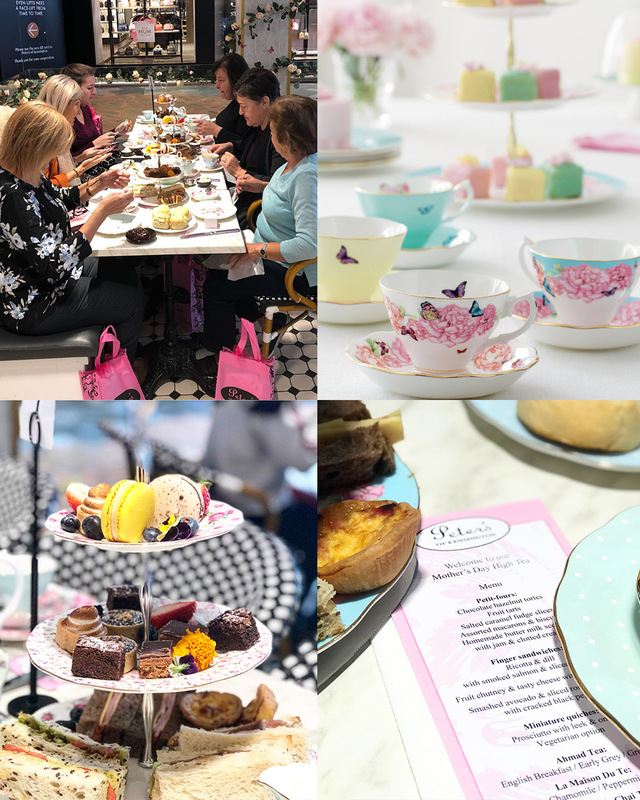 Our thanks to everyone who helped us make this event possible, including Scribble and Style Events, Crazy About Flowers, Jo’s Signs by Design, Edge House Design, Sweet Heavenly Events Hire and Sydney Event and Prop Hire, and the team at Wedded Wonderland. 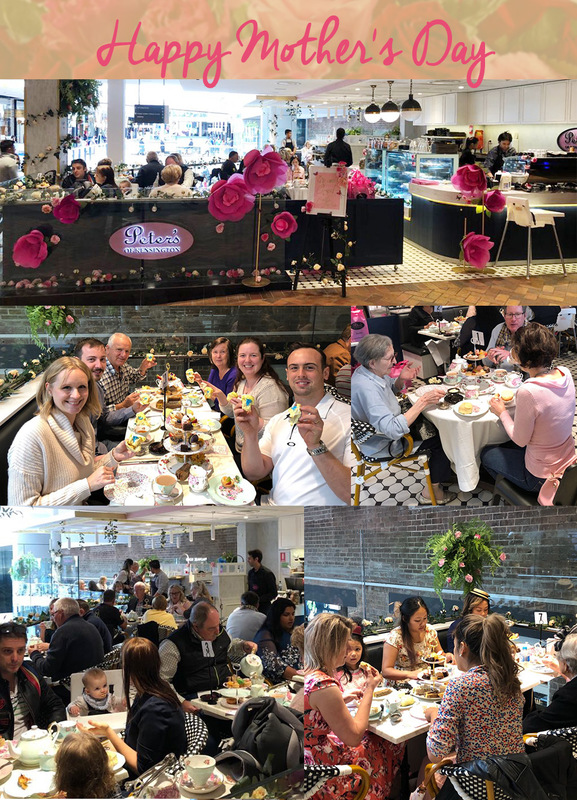 Of course, we’d also like to thank all the gorgeous brides-to-be who came along and chose to make Peter’s of Kensington a part of their big day! 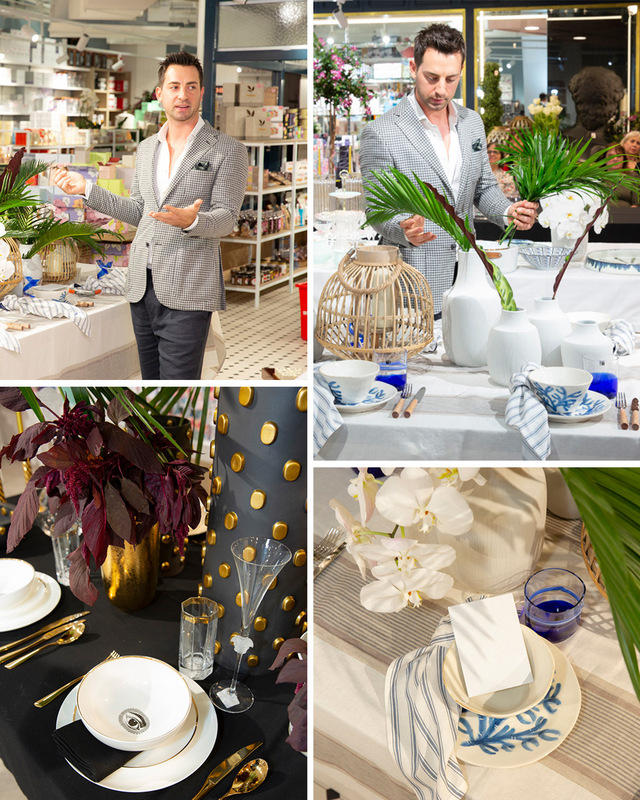 If you missed our Bridal Brunch and you’d like to find out more about setting up a gift registry at Peter’s of Kensington, click here. Our New Barangaroo Store Is Now Open! For more than forty years, we have been providing customers with the biggest brands in cookware, homeware and more at the lowest prices. And now, you’ll be able to experience the same amazing deals you know and love in an exciting new location! We have a brand-new store within Sydney’s Barangaroo precinct, bringing our fantastic deals to the CBD. We also have a Click & Collect option allowing you to shop online and collect your purchases from our new store in under three hours. Be sure to sign up to our new Barangaroo eNewsletter when you’re in-store, so you can be the first to hear about corporate events, promotions and discounts exclusive to the new scenic location. and located right near the entrance to our store! There’s parallel parking on many of the streets across from Peter’s, plus a convenient crossing in front of Peter’s. Boronia Street runs behind Peter’s, and has plenty of parallel parking. Take the steps from Boronia Street to Anzac Parade, which will bring you right to our door!